Proceed East on Hwy 138 (I85 S turn left on Hwy 138; I85N turn right on Hwy 138 ) and continue to Buffington Road. Turn right at Buffington Road intersection (you are turning onto Lester Road to your right). Turn left at stop sign (intersection of Red Oak Road and Lester Road). 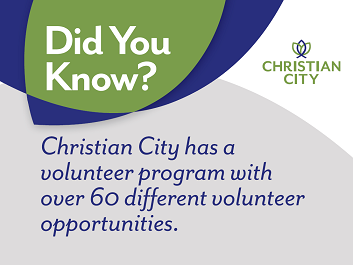 Simply find "Christian City Home for Children" under the list of Charities to Donate!